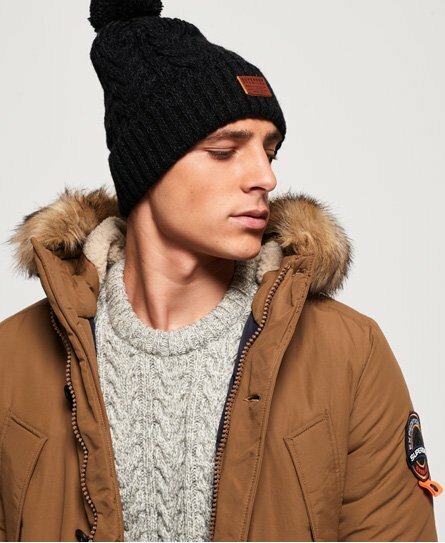 Superdry men’s Jacob beanie. Keep out the cold in style this season with the Jacob beanie. This beanie features a turn up hem with Superdry logo badge and is completed with a bobble top.